Recycle an empty bottle to construct this battery-operated 4M Tornado Maker. 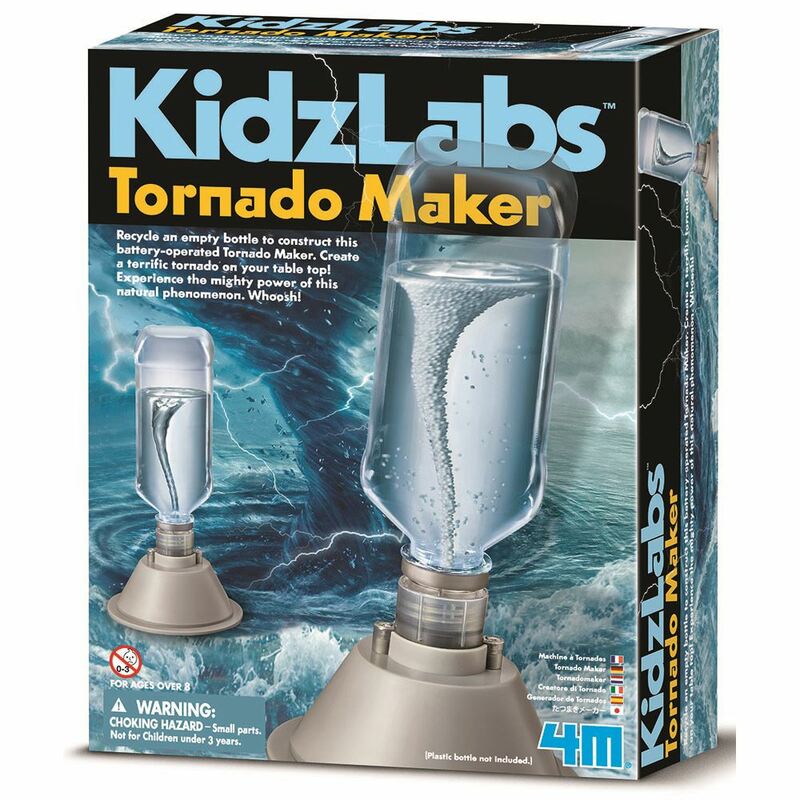 Create a terrific tornado on your table top! Experience the mighty power of this natural phenomenon. Whoosh! Includes: a base, battery cover, base cover, bottle holder, motor with water-resistant ring installed, propeller, terminal caps, screws, foam ball pack and detailed instructions. Required: a small crosshead screwdriver, 2 AA 1.5V batteries and a water bottle (not included). Age 9+ years. Part of the KidzLabs range. Distributed in New Zealand by Holdson.